We’ve already shared the first three chapters full walkthrough in the old posts. Now, it’s time to share the LifeAfter: Chapter 4 Mysterious Newbie Quest full walkthrough. Well, these chapter quests are pretty easy. No, it’s not -_-. I completed the first five parts of this chapter easily. But, In the fifth part, it took me so long to figure out how to beat believers/assassin. That quest was pretty hard in my opinion. But there is a trick to kill them without losing any HP. Rest quests were quite easy to complete. So, let’s get started and learn everything in step-by-step – LifeAfter: Chapter 4 Walkthrough – Crocodiles, Fire AXE, Swamp Believers, Life Suckers, and more. Quest 1.) Reach Crafting/Gathering/Combat Level 20. I would recommend you to complete the bounty quests(Fall Forest, Sandcastle, etc.) to reach this milestone fast. You should also try playing other modes; Stronghold, participate in Mystic Creature event, and NPC missions. Also, complete the daily duties to earn a huge amount of mastery easily(Tap daily -> here you can check the missions -> complete these missions to earn duty points -> at 30/60/100/145, you will get mastery points). 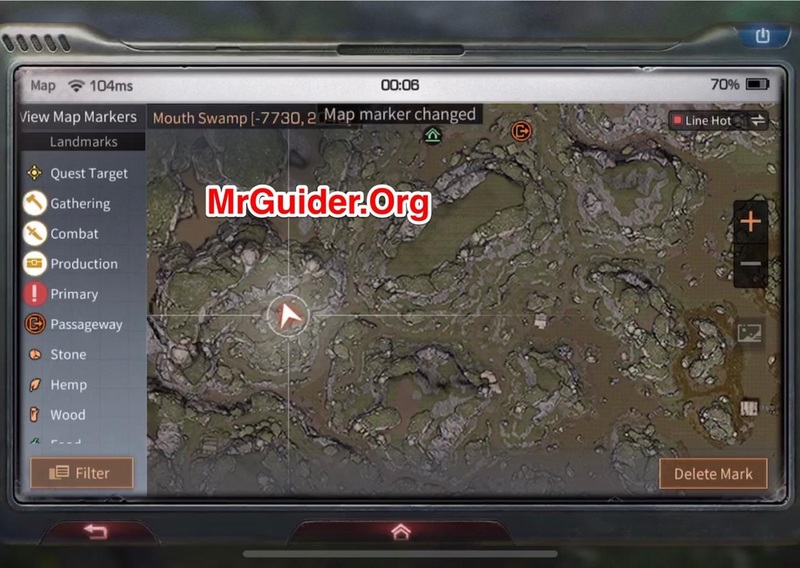 Make sure to trigger the duties(In Hope 101, talk to the guy next to the helicopter, then visit Commerce Bureau and talk to the guy next to Quest board). Quest 2.) Upgrade Manor To Level 5. To upgrade the Manor to level 5 in LifeAfter, you need 25 Wooden Boards(Craft it using the Material Bench), (25) Brick(Material Bench), (5) Cement(Material Bench) and (5)Screw(Craft it using the gear workstation). Quest 3.) Buy Hemp Rope. I am not sure about this quest if you are not in camp. If you are in a camp, you visit the armor store and buy the hemp rope using camp contribution points and the new dollar. In the camp’s town hall, visit the weapon store and talk to the guy -> trade -> buy nails. You can make solid chest using the material bench -> craft -> furniture. Quest 1.) Make Fire Axe, Make Assembled Pickaxe. To complete this quest, you must unlock the Fire Axe and Assembled Pickaxe formula. Tap the home button at the top-left corner of the game screen -> abilities -> gather -> there are three columns; logging, mining, and hemp. Tap the first talent in logging column(basic logging) and upgrade it to level 3. This will unlock the Fire AXE formula in LifeAfter. In the mining column, tap the first talent(Basic Mining) and upgrade it to level 3. This will unlock the Assembled Pickaxe formula in LifeAfter. Once you are all done, tap the make option -> scroll down -> find Fire AXE, Assembled Pickaxe. Craft it. You will need iron ore, stones, and wood to craft these level 3 gathering tools. Quest 2.) Take the helicopter to Snow Highlands. Snow Highlands is a beautiful map in LifeAfter where you can gather aluminum ore, mushroom, kyanite, flax leaf, and many other items. It’s always advised to go with a torch, hot water, and enough wood to craft a campfire. Every now and then, a blizzard will come. During this time, you should visit the shelter on the map and sit on the bench to warm up. You can also recover HP there(Sit on the bench). You get aluminum ore by quarrying(break rocks), flax leaf by gathering hemp crops, and old cypress by logging trees. Use the fire AXE and Pickaxe for aluminum ore and old cypress. For Flax Leaf, the drop rate may be low in the early stage. You can increase it by unlocking/upgrading the hemp talent(abilities -> gather -> last talent in hemp column). Explore a bit and you will find deers, ships, and yaks. Hunt them to complete this quest. You can use your UZI or bow to shot down infected. It would be better to team up with friends or camp members to complete this quest if you are not good in combat. You can find Infected near barracks. In this quest, you use the material bench and craft level 3 enhancement. You can then apply it to doors or floors. Tap build -> enhance -> use the enhancement. In this quest, you have to make a common ammo box. Gear workstation -> craft -> make weapons -> there you will find the common box option in the list -> craft. To craft it, you need smokeless gunpowder, hard aluminum alloy, beast horn, and wooden board. You can get beast horn by killing imperial soldiers or hunting animals in Snowhighlands map(LifeAfter). In LifeAfter, if you are in a camp, you will find Jessica in the city hall. If you are not in camp or in a camp, you can find her in the commerce bureau on the second floor, Hope 101. So these are the first 3 parts in LifeAfter Chapter 4 Walkthrough. Quest 1.) Defeat Imperial Soldiers(10). In this quest, I would recommend you to visit Barrack difficult area I and defeat the Imperial Soldiers. You can use UZI or UMP9. It will be easy. You can find the chests in Snowhighlands in the barrack shelters, in the tree houses. 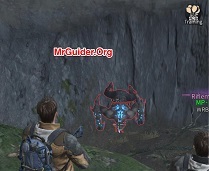 Or check the polymer coating farming post(In that post, I have shared the five chest locations – Link is given above). Stronghold in Sand Castle is quite easy. Team up with friends or campmates. Visit the stronghold point on the Sand Castle map and start the battle. After the battle begins, you will see yellow targets on the mini-map. Kill these targets, dismantle the machines and that’s it. After the battle, you will get the Sand Castle Feat points that you can exchange for the Treasure map or other items. Talk to the merchant next to stronghold battle board -> trade. The Mystic Creature in Sand Castle appears on random time. Keep an eye on the daily events menu(tap the daily option at the top-right side of the screen -> more schedules -> sand castle -> unknown creature). There is no fixed time. You have to be active and keep an eye on this event all day. Complete the quests+duties+nancy city battles+miska+all stronghold battles+NPC missions. That’s it. Do these things daily and you will reach this milestone soon. Quest 2.) Upgrade The Manor Level To 6. Already discussed above. (Note – You can buy Granite at a furniture store in camp or Hope 101). Quest 3.) Take the helicopter to Mouth Swamp. Mouth Swamp is a horrible place in LifeAfter. Before you go there, you should pack hemp/bandages/antiseptic. Your character may get infections, cough, debuff at that place. Antiseptic will be helpful there. Tap make -> antiseptic. In LifeAfter Mouth Swamp map, you can gather similar resources(Snowhighlands) and some exclusive at that stage; malachite, rugged leather, kenaf leaf, cracked tough hide. Near the shelter point in Mouth Swamp, LifeAfter, interact with the bounty quest board and accept the RP quest. Open the map to scan the points. Visit there(be careful, keep jumping) -> gather/hunt/collect. You can find Crocodiles in Silent Lake area. Usually, they are in the mud. It took me one day to complete this quest. Yeah, so long 🙁 But, you must go with friends or camp members. It will be fast. I spent my whole Sunday on this chapter and completed it in a day. I would suggest completing this chapter quests with friends or camp members if you are not good in combat. Most of the chests I found while exploring the map. So it was easy to complete this quest. I would suggest visiting the Black Spring area for bulk treasure. There you will find many houses. If you play carefully, there are hardly chances of getting killed or hit by an infected zombie(s) or bald guards. Don’t rush, analyze the movements, and get the chest at the right time. This is another tricky quest in LifeAfter game. If you have got powerful guns, it will be easy for you to kill these zombies(Black Spring III). If you are going to use UMP9, make sure to always target the head of Infected. Headshot inflicts more damage than the normal shot. Additionally, before you start fighting, check the number of infected there. It’s always advised to take on one or two infected at a time. More than 3 at a time will be hard. One more thing is to eat/take Damage/Healing buff recipes or Advanced Antiseptic before you enter the battle. You can read the LifeAfter recipes guide here. In this quest, I would suggest you use the compound bow. If you don’t have a compound bow, then use any other weapon except the one which consumes polymer or film fabric. You don’t need to waste these guns durability on these assassins. The trick/cheat is hit and run and then keep hitting. It took me many hours to complete this quest. All you need to do is visit the location marked in the below picture. (Box Valley IV). Once you are there, explore a bit and you will find the assassins camp(it’s at the top of the mountain/rock). Go close to the assassin camp(in range of your gun/bow). There would be three or more assassins. Ignore the first assassin and target the second one. Shoot once and climb up the rock as shown above(asap). See Full Picture – Here. After that, assassins will come closer. Keep shooting until the believer gets down. After killing both, wait for the next day(In game) and they will spawn again. See Picture – Here. In this quest, you have to defeat (3) Life Suckers. Well, there is another LifeAfter trick/cheat to beat this quest. In this trick, you will be using the wolves. Wolves and Life Suckers are enemies. If the wolves see Life Suckers around, they will start attacking. You can find Life Suckers in the Box Valley, behind the helicopter evac point(See Picture – Here). There is a trench behind this point where you will find the Life Suckers. Also, there are many wolves just behind the helicopter evac point. All you need to do is get noticed by the Life Sucker and let him follow you near the wolves. (You can also do the opposite; get noticed by the wolves and take them to LIfe Sucker). After that, wait for the right moment and start attacking until he gets died. In my case, I followed this trick and it worked for me. I was just passing that route and saw wolves and this enemy were fighting. In the end, they killed the life Sucker and I got this idea. If this trick does not work for you, you can ask friends or camp members for the help. 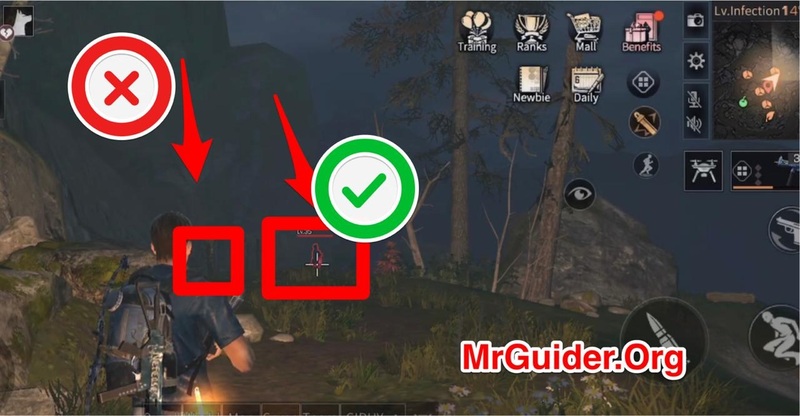 If you are going solo, you can use a drone(read the drone crafting guide here) or use this trick. In this quest, you will defeat the Imperial Soldiers in Stronghold Battles. Team up, defeat, and that’s it. Exchange the currency/points for treasure maps, gingko seed, and other items. That’s it.